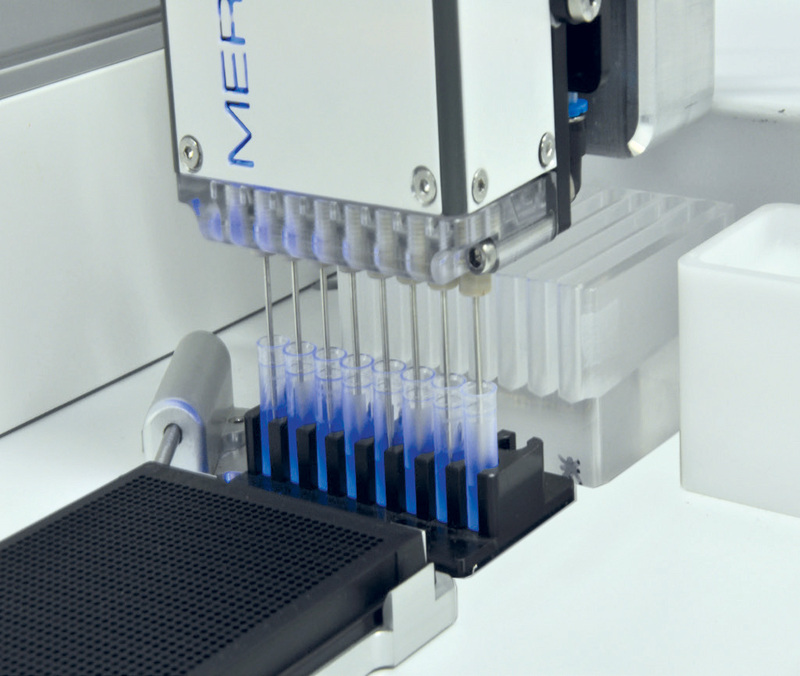 The Meridian2 ™ system provides non-contact, continuous reagent dispensing, ideal for genotyping, standard PCR and other applications. 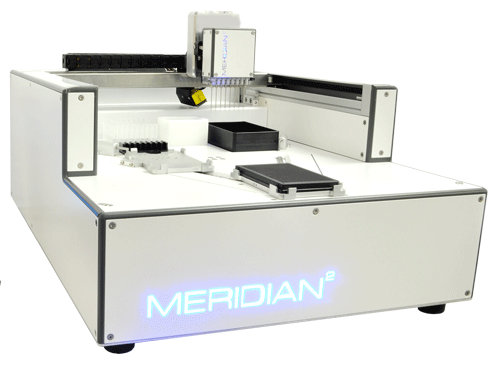 Originally developed for our own genotyping services laboratory, laboratories worldwide now use the Meridian technology to meet their high-throughput and efficiency needs. *For larger volumes contact our team for more options. Non-contact dispense eliminates potential for cross contamination, that means no more disposable tips! Please enquire over non-standard options that may better fit your needs. 1 All times are recorded from the first plate being loaded onto the Meridian2, to the last being removed. 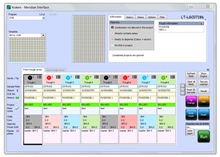 Times include the Meridian2 automatic assay preparation with x3 master mixes. Also barcode scanning was enabled. 2 All dispensing times are recorded from the first well to the last well.